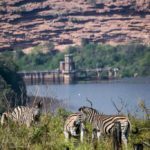 Once a popular outdoor destination, Shongweni Dam and Nature Reserve fell off the tourism radar some years ago when a land claim saw ownership of the property change hands. Although two organisations – Spirit of Adventure and the Umzinyathi Canoe Club – continued to be based there, the reserve was left rudderless. This was largely because the land claimants, the Zwelibomvu Community Trust (ZCT), weren’t provided with the necessary mentorship and capacity to manage the place. The absence of proper oversight created a vacuum in which facilities became dilapidated and activities like poaching, removal of perimeter fencing and subsistence harvesting of firewood thrived. And so the odds were stacked against the survival of a richly biodiverse and sublimely beautiful area that, at 1 700 hectares, is the biggest protected area in eThekwini. 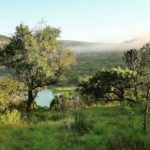 Thanks however to Conservation Guardians, an organisation committed to biodiversity conservation and ethical tourism, Shongweni is not only recovering but set to become a first-class destination for those seeking real nature experiences. “We saw the reserve’s potential and met with ZCT who appointed us to manage it,” says Greg Vogt, CEO and director of Conservation Guardians (CG). In under a year, without funding and through sheer hard work and determination, Greg, his co-director Sara Agostini, and a handful of staff members drawn from neighbouring communities, have made great strides in restoring the reserve to its full glory. As a result, visitors are returning to this ecologically important place, and feel safe to do so. There’s more to it though than tidying up, repairing facilities and removing invasive alien plants. 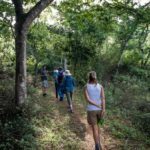 To attract nature-loving visitors, the focus at Shongweni is on special interest groups whose activities are low-impact and compatible with wilderness conservation. 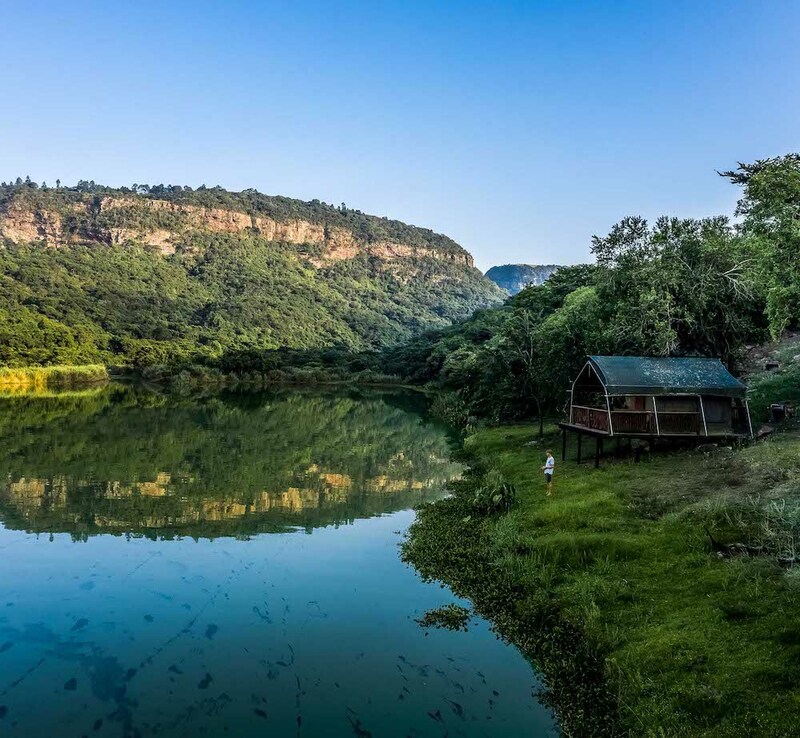 These include the Mountain Climbing Club (the reserve is highly rated as a climbing destination), Shongweni Specimen Angling Association that practices a strict catch and release policy, the canoe club and birding groups (the bird count stands at around 240). As word spreads, more groups are signing up. Recently one young visitor expressed his wish for a geocaching group. “Start one,” Greg said to him. This emphasis on interest groups doesn’t mean that the general public is excluded. Day visitors who respect the rules (eg, no music) are welcome and anyone can participate in the popular Wild Walks that often provide close encounters with giraffe. In the offing too is a unique dining experience that the deputy chair of the ZCT, Lindiwe Ndlovu, is spearheading. The experience will involve patrons being paddled across the dam to an outdoor restaurant established on the site of an erstwhile fishing camp. Similarly, the turret-like building on top of the dam wall could see new purpose as a cafe. For those who’d like to learn to paddle, canoe sprint champion turned coach, Thembinkosi Ngcobo, is available to give lessons in the mornings. These and other initiatives such as the training of bird guides and mountaineering guides, and an aquaculture facility planned for the disused waterworks infrastructure below the dam wall, are among the small business opportunities CG is developing for the communities bordering the reserve. This speaks to another cornerstone of the organisation’s ethos: sustainability. As Greg says, nature conservation affords some of the best opportunities to develop sustainable micro-enterprises. Underpinning it all is CG’s mission to, as Greg puts it, “inspire a global community of conscious travellers.” Conscious travellers can be defined as those who seek ethically managed destinations where the welfare of people, animals and the natural environment are not compromised but are enhanced through tourism. Given their commitment to protecting the reserve’s ecological integrity while simultaneously facilitating sustainable livelihoods associated with nature tourism, the Conservation Guardians are well on track to achieve that goal at Shongweni. *Have a look at this beautiful drone footage from Shongweni Dam, shot by Cameron Blair, a licensed drone pilot and cinematographer. 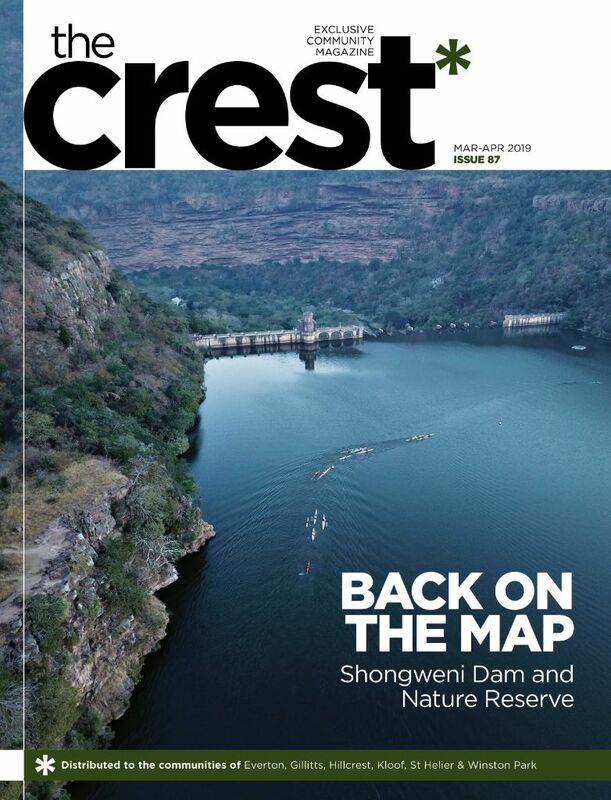 Shongweni Dam – Drone from AV8 AFRICA on Vimeo.